My kids would have loved this book when they were still developing language. As it is, they loved it, though they are past its targeted age group of early elementary school or preschool. I loved its visual and emotional impact, and its rolling cadence, almost mimicking the springy gait of a loping canine. It is magical, rhythmical, whimsical and full of natural beauty. One Wolf Howls is a counting book and an affectionate peek at the secretive lives of wolves in their natural environment. Illustrations by Susan Detwiler depict a succession of one, two, three wolves up through twelve per double page, covering the months of the year. Vibrant background scenes, playful pups and noble pack portraits accompany poetry that entertains, teaches and captivates. 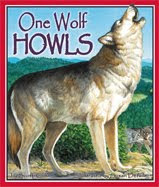 One Wolf Howls is a must-have for every young reader's shelf. Patrick Whalen is passionate about history, and the American Civil War in particular. His award-winning blog offers wonderful insights, features and interactive contests. A must read for any serious Civil War aficionado. This blog is powered by several published Christian historical fiction authors, and features interviews, book reviews, and wonderful historical information about the Old American West. An absolute smorgasbord of American history, spanning the centuries. From the novel to the off the beaten path to the truly obscure, no fact or tidbit is too small to lend your historical novel that special touch of authenticity. A wonderful resource for both history lover and writer alike. This blog combines the best of historical and contemporary stories of heroes and courageous ladies, and God's touch on ordinary lives, making them extraordinary. 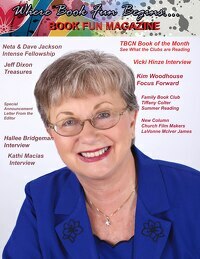 This is another blog written by a collaboration of Christian historical fiction authors. This blog features book reviews, interviews and eclectic history facts. This site hosts some excellent links to interactive history quizzes, facts, and archives. Joan has a passion for history that is absolutely contagious. Here is a sampling of some great sites, so what are you waiting for? Jump in with both feet and immerse yourself in history. Katy Lambright Series book one. This was a departure in my personal reading as a book targeted for young adults. I am a historical fiction lover at heart, but this quick read captured and held my attention for many reasons. The ever-popular Amish and Mennonite fiction has so far eluded my reading shelf, but I admit, I've been curious. This is about a young Mennonite girl, Kathleen Lambright, who has been given special permission from the deacons of her congregation to attend public high school beyond the ninth grade norm of her community. Right away, Sawyer depicts teen angst at its finest, as Katy leaves her familiarity and ventures into what no one else in her community has ever done with the leadership's blessing--enter the world. Adding to the conflict of Katy's awkward adjustments to school bells and the snickering and tittering of those around her, her community doesn't understand her longing for learning. Her best friend's jealousy over her time away and of her new friendships leaves her between two worlds, and the criticism of her aunt and others who think she will repeat a family scandal grieves her heart. But through it all, Katy faces her changing landscape with courage, determination, and a lovably imperfect character that manages to triumph in the end, rather like an Anne of Green Gables in a bonnet. I found myself endeared to this realistic young heroine to the point that I would like to follow her on her next journey, which looks like an addition to her close-knit family may be brewing. Engaging, warm and full of human insight, the writing matched the character. A wonderful read for young and old. In the 1840's with the dawn of ready-to-wear clothing, gentlemen of all classes had better access to suits and ties and dress wear. In the Victorian Age where appearance and social standing posed of premier importance, a gentleman wore a suit. During the day, a three piece black suit served him in business, with a neck tie and white shirt. But in the evening, a more formal suit would be required. Following are some wonderful clothing and accessories from the period. Courtesy of Chemung County Historical Society's Fabrics of our Lives display. Seen here are an officer's wool uniform worn by a local Elmiran in the 1860's, and two silk plaid dresses also from the 1860's, shown with hoops. These would have been considered Sunday best for a middle class woman. The officer's coat is presumably from the Civil War. Pictured here are a man's silk top hat, 1870's, center, and clockwise from there: A lady's straw bonnet late 1800's, two velvet bonnets, late 1800's and 1880 respectively, and finally, an 1880's lady's wool hat with feathers. This suit with tails and bowler hat, circa 1880, strikes a dashing figure with its white bow-tie and crisp white shirt and waistcoat. It accompanies a wedding gown from 1870, and a more ornate bodice of another wedding gown from 1890. A frock coat from 1880 stands beside a satin white wedding gown circa 1880. What a handsome couple! The suit was worn by a local physician on his wedding day. Finally, some photos of accessories which a Victorian gentleman would wear or carry for special occasions. A pair of 1880's gentleman's white leather gloves, 1880's cufflinks, 1860's eyeglasses, invitations and tickets to a military ball, and an 1875 pocketwatch. Calling cards from 1880. Note the vivid colors and beautiful graphics so typical for the era. No wonder the Victorian Age is still considered one of the most romantic in history.